Hockley Developments are due to start work on their latest development, Lace Mills, on Palm st in Nottingham next week after completing the site purchase this week. Phase 1 will be 12 apartments and 4 family houses, and will be completed by Dec 2019. Phase 2, the larger phase, is due to start in June and complete in spring 2020. 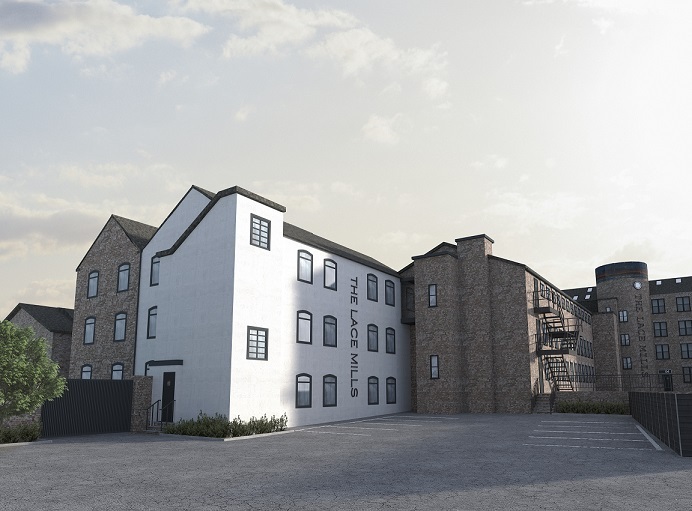 Announcing the launch of Lace Mills, Architectural Manager, Ewan Cassell stated, “We are delighted to bring some much needed family housing to central Nottingham as we know from our regular discussions with Nottingham council there is a huge shortage. These will be made available, as per all our developments, on the Help to Buy scheme. “We look forward to starting phase 1 and launching phase 2 in June this year. Hockley Developments have also announced the appointment of Nick Brown as Head of Construction. “With an increasing number of property developments in the pipeline in 2019-20, Nick’s knowledge and experience will be very important. We had a large number of candidates apply for the role – over 70 – and were delighted with the quality of applicant, but after two rounds of interviews, Nick stood out, and we are delighted he has come on board and started this week,” stated Managing Director, Alan Forsyth. Nick was previously an Operations Director at Lovell Partnerships, in charge of 16 developments, and 70 staff, and previously had management experience at national and regional housebuilders including Bovis homes and Taylor Woodrow.